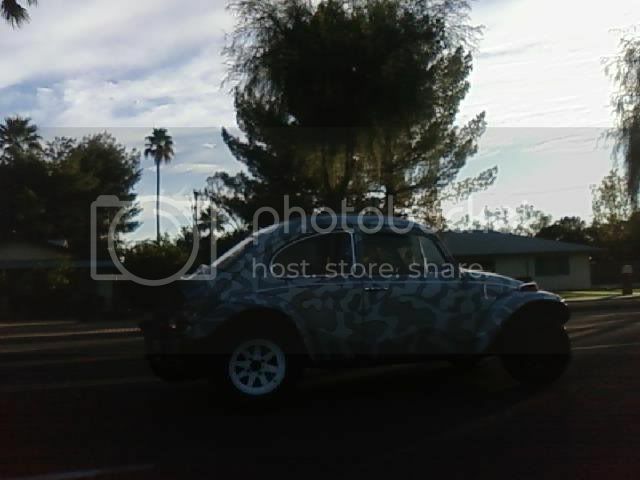 Ok, so I saw somebody mentioned in the "A-arm baja sighting in Mesa" thread that somebody had the idea to start a thread about bajas you see driving around town and I really liked the idea. So, if you see on driving around, snap a pic if you can. I saw this guy driving on Norther yesterday at about 7th avenue and was able to catch up to him and snap a pic just in time before he turned on 19th. A pretty interesting paint job. The kid driving it looked about 17 or 18. Just this morning spotted a black baja w/ a light bar at Chevron at 43rd & Cactus. Didnt have time to stop cause I was late to work. 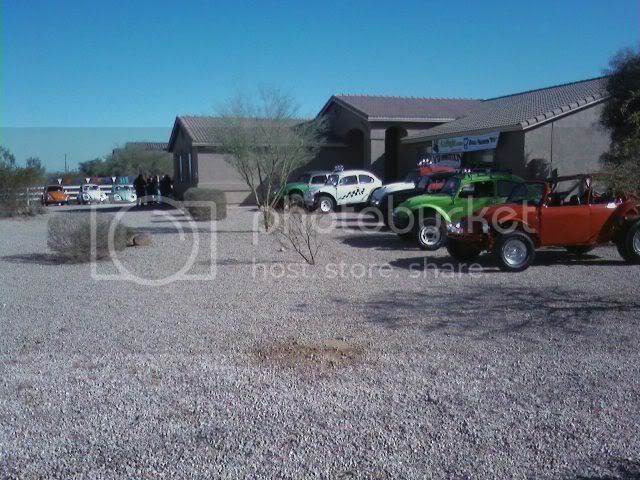 Then saw another baja, a yellow on going down Cactus at 35th. Anyone from the west side? saw a orange one at chevron at mcqueen and pecos. i told him about azbaja. and he said he would join. also he asked for a good bug mechanic and i told him daryll is a good guy and gave him his number. left a slip of paper on his window telling him to join azbaja. 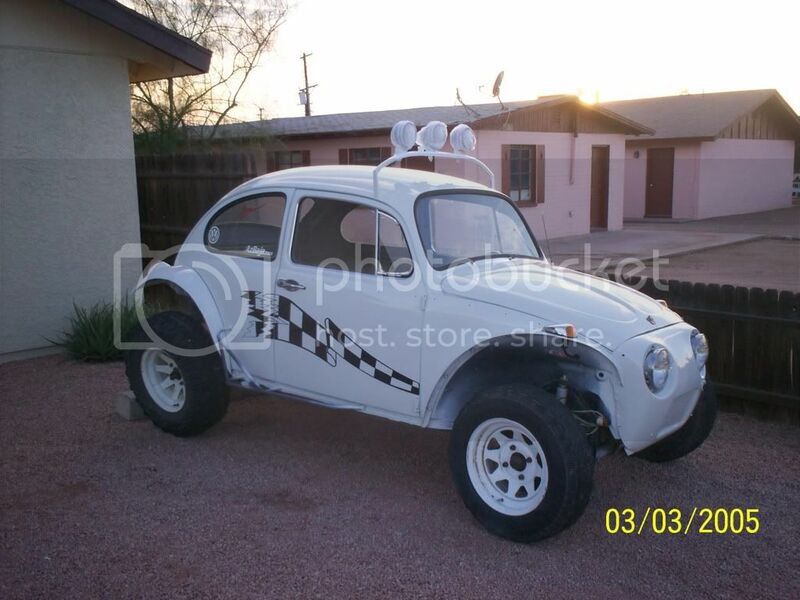 saw another one that was a baja with skinny tires and small rims more like a street baja. it was a older guy and he said it was his sons. he said he was selling it i told him to join azbaja. it is like aids just keeps getting worse and worse and worse. Frid spoted a Dark/Faded metalic blue Semi Baja with white Bars and a cage in west mesa, broadway & extension area. This disease makes you live longer, I'm pretty sure, worked on my car and a friends yesterday for 8 hours straight, man I love doing this. Spotted an Orange baja at the QT on Power Rd just north of Chandler Blvd on saturday night, Zyla Jr put an AzBaja flyer on his car. Where does one get more of those AzBaja flyers Zyla? saw a pair of baja's being towed at the QT at ellsworth/university sunday night when I was getting home fromt he snow. That's our meeting spot for Bulldog usually.